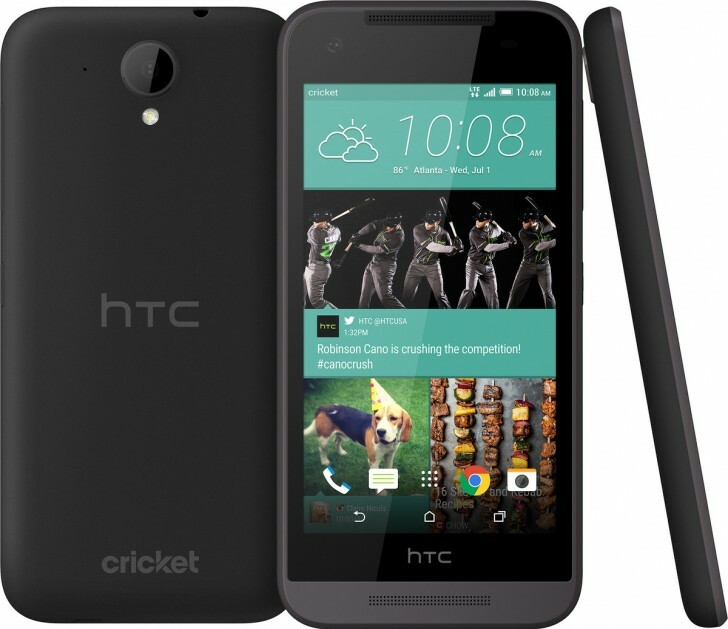 Cricket has announced the HTC Desire 520 today. The mid-range smartphone will go on sale at the carrier as soon as tomorrow, and it will be priced at $99.99 without any long-term contract requirement. The phone will be exclusive to Cricket. The Desire 520 was announced for the US by HTC back in July, and it sure took its sweet time actually getting to stores. It comes with a 4.5-inch 480x854 touchscreen, an 8 MP rear camera with LED flash, a 2 MP front-facing camera, 1GB of RAM, 8GB of expandable storage, 4G LTE support, and a 2,000 mAh battery. It's powered by Qualcomm's Snapdragon 210 chipset with a 1.1 GHz quad-core Cortex-A7 CPU and Adreno 304 GPU. It runs Android 5.1 Lollipop with HTC's Sense 7 UI on top.